Barcelona interested in signing Manchester United star? Barcelona are reportedly planning an attempt to sign Marcus Rashford from Manchester United amid his reluctance to extend his deal with the club. The 21-year-old netted his fourth league goal of the season during United's 5-1 win over Cardiff City on Saturday after being offered another chance to lead the line. Despite this, his long-term future remains a concern with his contract expiring in 18 months' time and according to The Express, the Blaugrana are keeping a close eye on the proceedings. Real Madrid and AC Milan are also said to hold an interest in the United graduate but the Blaugrana are planning to get a head start by lodging an offer when the season concludes. 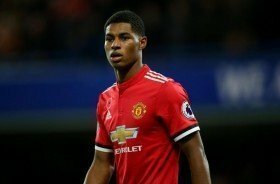 Rashford has struggled to secure a regular starting role with United over the past year but that could change in the near future with Jose Mourinho being axed from the head coach role. The England international has netted 37 times for the 20-time English champions since making his debut against Midtjylland in the Europa League in February 2016.